A parallel new Bush doctrine is emerging, in the last days of the soon-to-be ancien régime, and it needs to be strangled in its crib. Like the original Bush doctrine – the one that Sarah Palin couldn’t name, which called for preventive military action against emerging threats – this one also casts international law aside by insisting that the United States has an inherent right to cross international borders in “hot pursuit” of anyone it doesn’t like. Let’s take Pakistan first. Though a nominal ally, Pakistan has been the subject of at least nineteen aerial attacks by CIA-controlled drone aircraft, killing scores of Pakistanis and some Afghans in tribal areas controlled by pro-Taliban forces. The New York Times listed, and mapped, all nineteen such attacks in a recent piece describing Predator attacks across the Afghan border, all since August. The Times notes that inside the government, the U.S. Special Operations command and other advocates are pushing for a more aggressive use of such units, including efforts to kidnap and interrogate suspected Taliban and Al Qaeda leaders. Though President Bush signed an order in July allowing U.S. commando teams to move into Pakistan itself, with or without Islamabad’s permission, such raids have occurred only once, on September 3. “If you look at the operational core of our Special Operations Forces, and focus on the ground operators, there are some 15,000 or so of those – give or take how you count them – these range from our Army Special Forces or our Green Berets, our Rangers, our Seals, some classified units we have, and we recently added a Marine Corps Special Operations Command to this arsenal as well. In addition to adding the Marine component, each of these elements since 2006 and out to about 2012 or 2013 has been increasing their capacity as well as their capabilities, but their capacity by a third. This is the largest growth in Special Operations Force history. By the time we’re done with that, there will be some things, some gaps we need to fix undoubtedly, but we will have the elements in place for what we believe is the Special Operations component of the global war on terrorism. Notice what he said: operating in 60 countries. 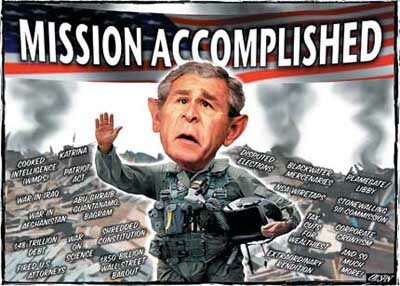 The very invasion of Iraq was illegal in 2003, and it flouted international law. So some may say these cross-border raids are small potatoes. But they’re not. This is a big deal. If it becomes a standard part of U.S. military doctrine that any country can be declared “criminal” and thus lose its sovereignty, then there is no such thing as international law anymore. Robert Dreyfuss is a contributing editor of The Nation magazine, and the author of Devil’s Game: How the United States Helped Unleash Fundamentalist Islam (Metropolitan).